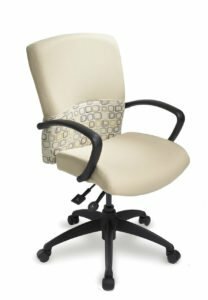 For comfort during longer meetings, choose the Executive Boardroom Mechanism for its pneumatic seat height adjustment, synchronized back and seat angle adjustment with single position lock, and adjustable spring tension. ecoCentric II Boardroom chairs provide comfortable support to ensure productivity during collaborative work sessions and longer meetings. 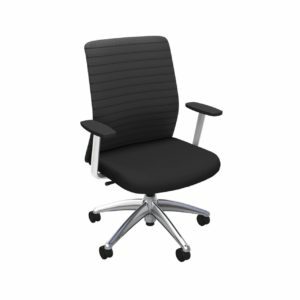 Combining ergonomic lumbar support with a moulded, single-piece structure that will last for years, the ecoCentric II Boardroom offers a stylish curved design upholstered in fabric or leather, with options that include elegant polished aluminium and chrome accents, as well as memory gas lift and casters for a variety of floor surfaces. ecoCentric III Boardroom chairs offer comfortable support to ensure productivity during collaborative work sessions and longer meetings. 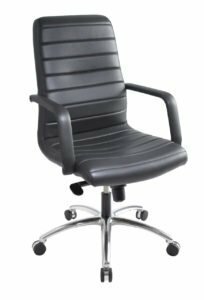 With options for polished aluminium base and chrome accent casters, as well stylish back panels to display your choice of complimentary fabrics, the ecoCentric Boardroom III presents a bold look in any meeting space, and the jury base option is perfect for casinos, jury boxes, and other fixed seating environments. 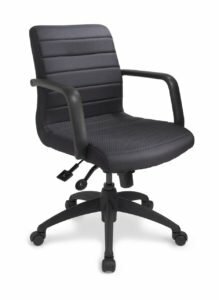 iCentric Mesh chairs deliver an affordable conference and training room solution that provide airflow capabilities while maintaining ergonomic support. With a proprietary flexible weave upholstery comprised of polyester and monofilament/elastic yarns, the iCentric Mesh series offers a soft feel while allowing increased airflow, with horizontal band detail to provide additional support.